Another fall event fundraising season is on deck, and nonprofits around the country are planning charity auction, dinners and galas with more ambitious revenue goals than ever. There’s plenty of details that can make or break an auction: getting a benefit auctioneer, creating bid sheets, wrangling volunteers, setting up the venue and more. However, success depends first and foremost on the quality and caliber of auction items up for grabs. Without unique, high quality items - people won’t bid! They certainly won’t be willing to pay the kind of bids you need to meet those critical goals. In today’s post, get 6 quick tips for procuring better auction items that generate bidding wars, sell more tickets, and ultimately raise more for your cause. The reason: Procurement is an ongoing process. You never know exactly how long it will take to procure all the live and silent auctions you need, when potential donors will respond, what new and unexpected connections can emerge. The more time you’ve allotted for procurement, the more diverse opportunities you’ll be able to seize… and the less stressed you’ll feel as the big day approaches. As soon as possible, appoint a procurement chair and form a committee. This is a team of 4 to 6 people with one objective: to acquire desirable items that cost little to nothing upfront. The makeup of your committee can have a huge effect on quality of items received, and thus resulting revenue, so take some time to gather the right folks. First and foremost, each member must be unafraid to ask for donations. You won’t get what you don’t ask for - it’s as simple as that. In addition, team members should be organized, enthusiastic about the cause, and able to clearly and succinctly explain your event and the nonprofit's mission. It’s fine if they need training on the exact verbiage or need to be supplied with a script or letters to make the ask. Just make sure they’re on the same page as far as being willing to take risks when the time comes. Now that your committee is assembled, kick things off with a bang by hosting a procurement party, or "wish list" party. What is a procurement party? Simply put, it's a fun brainstorming session to come up with new, unique auction item ideas. Fact is, if you bring the same 10 items year after year to the live auction, the audience gets bored. They know what to expect and it’s just not that much of a draw. So having an ultimate “wish list” of awesome travel destinations, exciting shows, exclusive access and more is a great way to ensure your organization is thinking outside the box, each and every year. To encourage everyone to contribute, keep the atmosphere both fun and relaxed. 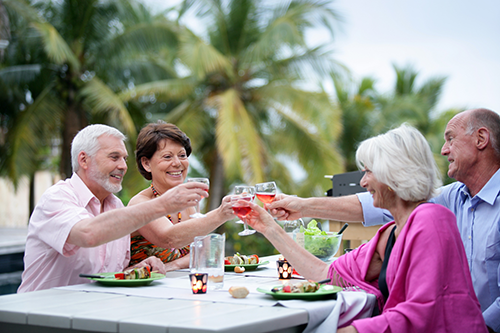 Try meeting in a home or casual restaurant, and be sure to have some energizing food or snacks on hand. Once everyone is settled, spend 15 minutes or so coming up with every idea you can - there are no bad ideas! 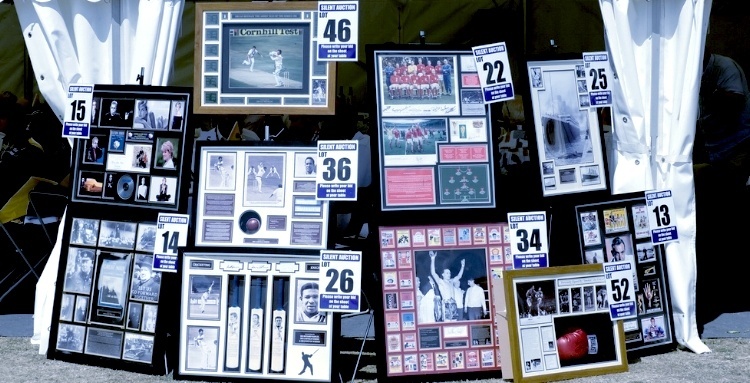 You never know what one idea will spur the next, and what word or phrase will lead to the highest-value item of the auction. By the end of the party, you should walk away with a wish list chock full of potential items. You’ll also want to start assigning items to certain team members to procure, based on their connections (more on this below) or as needed. Need help with ideas? 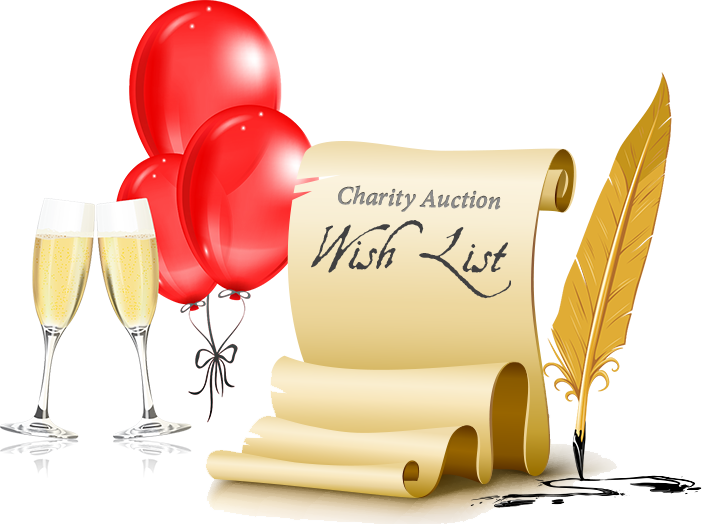 Click here to download a free list of over 400 unique, exciting auction item ideas - then print out a few copies and bring to the wish list party. To get the most out of your procurement efforts, pair the right auction items to your specific audience. Consider their demographics, interests, your region and more. Try surveying key constituents to find out what items they’d like to bid on. If you’re having trouble gleaning insights from the surveys, rest assured there are some tried-and-true categories that garner virtually universal interest. The number one best seller at charity auctions is travel packages: think trips to Napa, the tropics, Europe, you name it. Donors at fundraising events are typically sophisticated spenders and travelers with significant travel budgets. If you can offer travel items at the event, you can redirect some of that travel budget to your cause. Food & wine items, like catered or group dinners, cases of wine and brewery tours, also work well. Finally, any kind of exclusive experience or red-hot ticket has wide appeal and a high perceived value: think a trip to a college sports championship game, big-name concert tickets, and sold-out Broadway shows. Any fun or exciting experience that people can’t normally get their hands on, is a great bet for capturing the attention of your audience. Remind them that you’re not looking only for tangible goods, like electronics or cigars (two more great auction item ideas). Encourage them to also think creatively for unique experiences or access they can share with a winning bidder - for example, being the local meteorologist on TV for the day. Imagine a ritzy Italian restaurant agrees to donate a 3-course meal with wine pairings for 8 guests. You’d thank them for their support, then ask if they’d consider donating a second in case someone else is very interested in winning the item. You might ask: “If we get a real lightning strike during the auction, may we sell this item twice?” This is a relatively low commitment since donating two is just a possibility, but would be a huge windfall if it did happen. Now here’s an even more strategic twist: Even if the donor doesn’t agree to donate two, you can still figure out the retail cost of the item. If bidding exceeds that cost significantly, sell two, buy the second item, then pocket the profits. Like any other event expense, it takes money to make money - and getting some of that second bid is better than none. 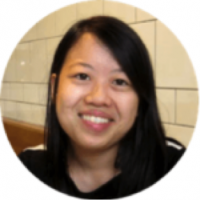 This blog post was brought in collaboration with Summy Lau of Winspire. Thanks to Summy for the contribution! Winspire provides incredible travel packages and luxury hotel stays for charities to use in fundraising auctions and raffles, with no upfront cost. As Fundraising Editor, Summy brings extensive experience in nonprofit development, event fundraising and publishing to Winspire’s semiweekly event fundraising blog, Winspire News.